999: a number, a name, a mark that identifies a jewel. 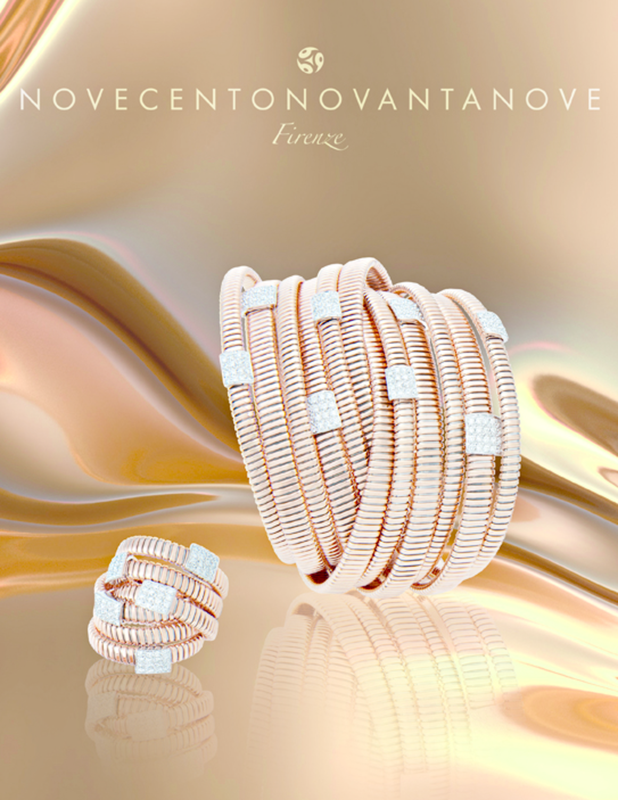 Novecentonovantanove creates elegant and sophisticated “tubogas” jewelry with emphasis on the quality of the materials and craftsmanship and the innovative, lasting design. One of the company's priority objectives is to create items that go beyond fashions and trends. Novecentonovantanove is specialized in 18k gold "tubo gas" jewellery.